New York Times bestselling author imagines the affair between John F. Kennedy and Alicia Corning Clark – and the child they may have had. Based on a real story – in 1950, a young, beautiful Polish refugee arrives in Hyannisport, Massachusetts to work as a maid for one of the wealthiest families in America. Alicia is at once dazzled by the large and charismatic family, in particular the oldest son, a rising politician named Jack. 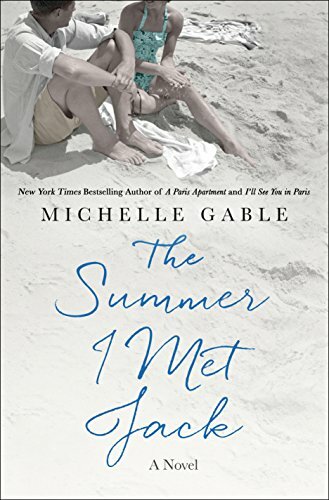 The Summer I Met Jack by Michelle Gable is based on the fascinating real life of Alicia Corning Clark, a woman who J. Edgar Hoover insisted was paid by the Kennedys to keep quiet, not only about her romance with Jack Kennedy, but also a baby they may have had together. Aren’t the Kennedys one of the most interesting American families? I think so. This book takes an imaginary look into the real lives of Jack Kennedy and Alicia Corning Clark. I loved it! I was given this book in exchange for my honest review from Netgalley. All opinions stated above are my own. I really like this new covering I got- very comfy!